Quality Auto Parts Fast - Offering high quality aftermarket replacement auto parts. Your Truck and Jeep Accessory Superstore. 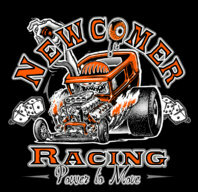 Event Management, Announcing, and Promotions 4x4cross Brand Merchandise - Clothing, DVDs, Decals, and more. 12Volt Unlimited specializes in the manufacturing of custom waterproof switch panels. Each switch on every panel is labeled and backlit with LED's. 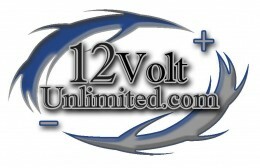 Also a supplier of wiring harnesses, kits, and parts for just about any project. 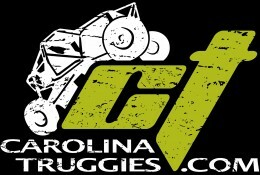 Bailey's Towing Accessories is a family-owned business located in Wake Forest, NC. Our slogan is: "We do it right!" and it's not just something we say, we try to live it. Our approach was always to solve problems and improve our own towing service and, in 2009, we launched Bailey's Towing Accessories to allow us to share the tools we developed with the rest of the towing industry. We continue to develop new tools for both towing and 4x4 applications as well as offering best-in-class towing accessories to customers around the world. Your order will ship in one business day or we pay the shipping. ASE master certified tech. Off-road fabrication from lift installs to complete suspension builds, gear/locker installs to complete axle builds. We build bumpers, tire carriers, and cages. We are an Action Sports Media Company specializing in Film, Photography, and Promotions. We make some of the best Off Road DVDs on the market. BKF can also help your business with product photos, vehicle photo shoots, promotional videos, and much more. We are your one stop shop for high quality axle and differential repairs and upgrades. From gear changes to locker installs and anything in between. Carolina Metal Masters is home of the DREAM Builders. CMM has 20 years of experience in all racing fields: Formula-D, NASCAR, Indy, Off-Road, Dakar, and Formula 1. We are toy people helping toy people. 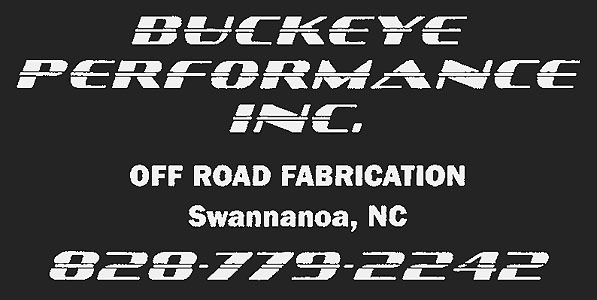 North Carolina’s premier off-road design and fabrication company, providing unsurpassed engineering and performance builds like no other. Many products are custom made in-house, assuring the customer with the finest quality and innovative modifications for their vehicle. We stand behind everything we build 100%, and just because our products and services are competition quality, does not mean our prices are. We’re a small company of a few guys with a passion for what we do and we’ll take care of your vehicle like it’s our own. Used cars, specializing in preowned diesels. 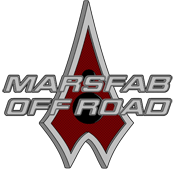 We have over 12 years of experience in the sport of Offroad Driving & Offroad vehicle modification. Whether you are upgrading your Daily Driver or your Extreme Offroad Buggy, our knowledgeable staff can help you with all your 4x4 needs and find you the right parts for your project. Build it , Wheel it, Drive it! Racing at its best. ECORS is the premier offroad racing traveling series on the east coast. We offer endurance style off road competitions for every vehicle type from bone stock to pro rock racers, and exciting motorsports action for spectators. Visit us for our Grand Opening on Saturday, April 26, 2014! Specializing in, but not limited to, pre-1970 Willys Jeep vehicles. Full restorations, lift kits, repairs, general maintenance, add-ons, and special orders. Private Off-Road trails, just off Interstate 40. Call to plan you next ride! Tube work, sliders, exo's, suspension lifts, custom suspension and general fabrication. Est. in 2006, we are a full service shop for your aftermarket suspension and 4x4 parts. We also offer a full line of aftermarket accessories. Ironman4x4Fab.com produces custom and production fabrication for the offroad industry. Our control arms are notorious for being the toughest, most adjustable arms in the industry. We are a small operation with very little overhead and operational expenses. We can produce custom components for most 4x4 applications. Ironman4x4 can even fabricate custom-length 4-Link arms out of steel or 7075 aluminum for your custom rock buggy. Give us a call and we will make sure you have the best components for your application. Our dealership has quality Pre-Owned Cars, Trucks, and SUVs that will fit your budget. Concerned about financing? Let us help you get into the vehicle of your dreams. Our staff can help you find the vehicle you are looking for; Call, click, or come by today! Serving Mooresville and the Lake Norman Area. Lugnut4x4 is proud to offer complete bolt-on disc brake conversion kits for most 8 lug axles for only $315. That price includes Priority Mail Shipping anywhere in the United States. Custom fabrication and design, from bumpers to full chassis; specializing in TIG welding and out of the box thinking. If you think of it we can build it. Custom metal fabrication. Everything from bumpers to turn key buggies. Custom tube & sheet metal fabrication, suspensions, gears and custom welding. Like Metalwerx Design on Facebook! MidCarolina Line-X is an industrial coatings and spray-in bedliner business serving the Greensboro and Burlington area. Like us on Facebook! Motobilt, Inc offers professionally designed metal fabrication products and services for the automotive industry. Offroad racing, rock crawling, hotrods, ratrods, and other random vehicles that are fast and loud are all vehicle types we offer services and product for. Be sure to contact our experienced staff for more details. Custom Engines, Transmissions, Differentials, Headers, Exhaust, Cylinder Head/Intake Porting, and much more. Pro-Tools is the leading manufacturer of high quality tube and pipe bending equipment at affordable prices. We specialize in Tube and Pipe Benders, including a broad selection of hydraulic pipe benders. We also carry a number of bead rollers designed for the most challenging projects. 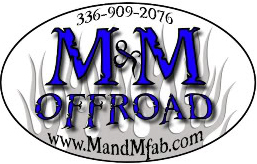 Automotive Accessories - Sales, installation, and fabrication - On and Off-road! We make parts for your truck, we don't make parts for tanks and we don't make car wash parts. We make parts for your truck and we make parts that you don't have to ask if they will last, you know they will. Selling Aurora and Lifetime LED lights, mounts, brackets, lenses, and accessories. Free shipping in the Continental US. Full service auto repair specializing in transmissions. Specializing in Toyota trucks and SUVs, anything from "Daily Drivers" to "Off Road Fun"